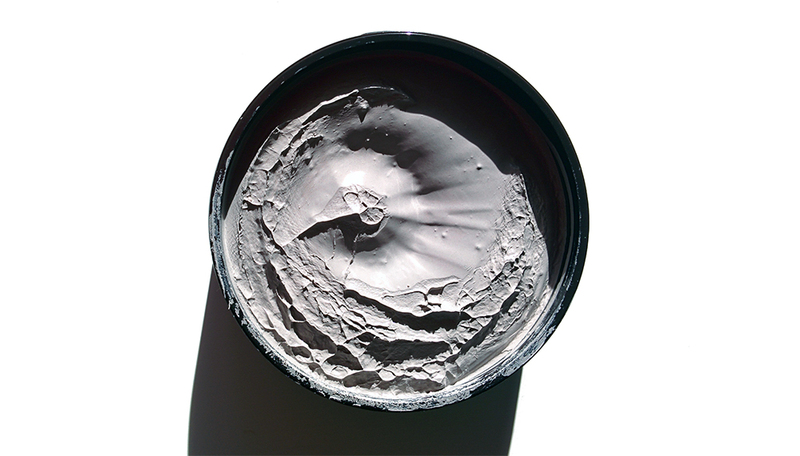 The volanic pore clay mask is one of Innisfree's most famous products, and as the name suggests, the mask contains volcanic minerals and rock. When I visited Korea, I was able to visit a hot spring spa resort that had thermal spring water running throughout the pipes. The water did amazing things for my skin such as calming down any redness, alleviating any active blemishes, as well as healing my post-acne scars. My mother, who was born in a town famous for its hot springs, was not surprised as she has long known the benefits of hot spring water. 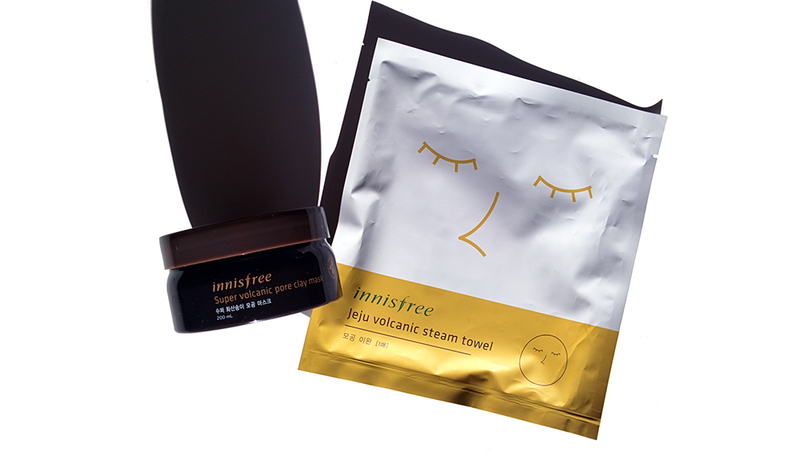 Subsequently, when I saw Innisfree's volcanic mask, I knew I wanted to try it out and see whether it would benefit my skin in a similar way that the hot springs did. This microfiber 3D towel, when warmly heated, opens up skin pores and helps effectively remove sebum. There isn't much to say about the steam towel except that it's supposed to be used in conjunction with the volcanic pore mask. 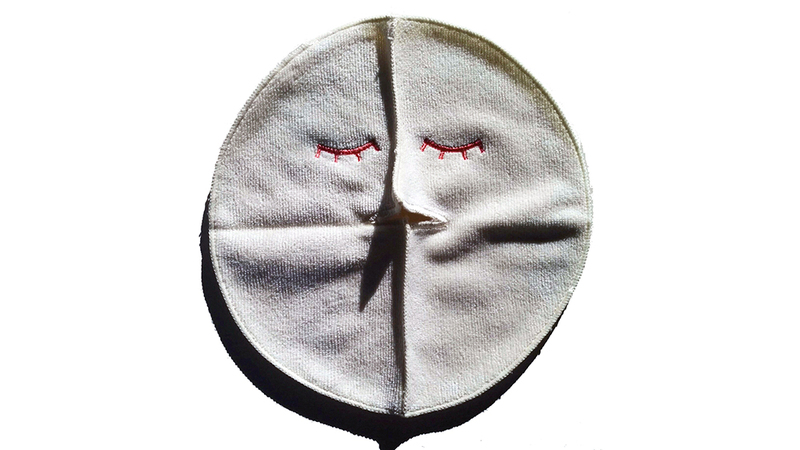 The great thing about the steam towel is that there is actually an opening for your nose so you can actually lay the towel on your face for longer than a minute without feeling like you're suffocating. The sales associate at the Innisfree store in Korea told me that it is reusable until "you can't use it anymore." However, the fabric is seemingly like a normal terry towel, with the backside having a more softer microfiber like material. I can see this towel lasting like any normal terry towel as long as you care for it as you would for your other towels. The directions say to microwave the towel, but you could also pour boiling water into room temperature water and adjust the temperature to your desire. 1. Using a toner, remove any residue left on your face. 2. Apply the product all over your face, avoiding the mouth and eye areas. 3. 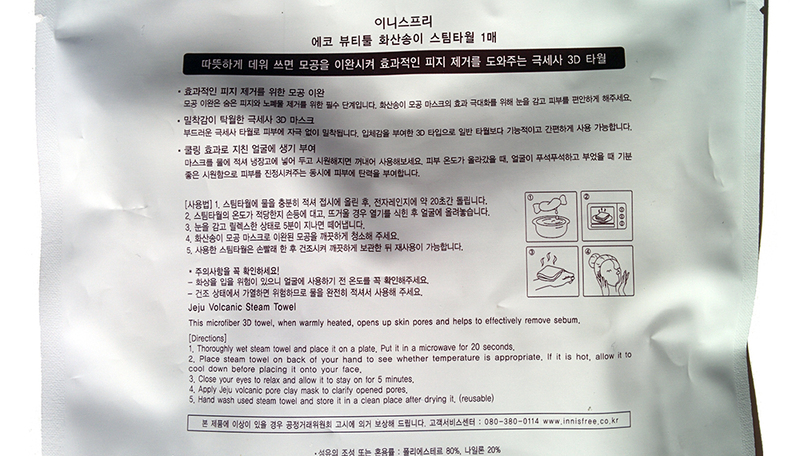 Wash off with lukewarm water after 15 minutes. 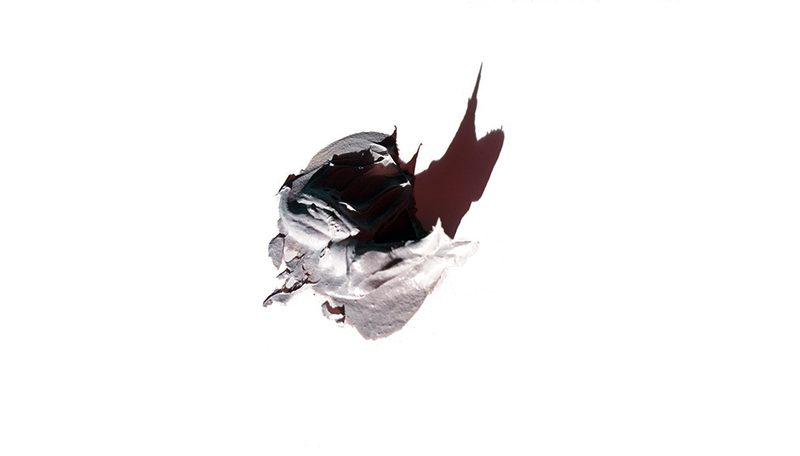 Unlike other mud/clay masks, the volcanic clay mask actually has finely ground up volcanic rock particles mixed in. Although that sounds painful, it's not! There aren't that many particles in the mask, and the particles are actually more finely ground up than the walnut shells in St. Ive's Apricot Scrub. In terms of texture, it feels surprisingly creamy. When you slather it on your skin, it's very easy to move it around and apply it evenly across your face. You do feel some of the volcanic rock particles on your skin, but it's not harsh or irritating. It also does not have any fragrance. Unlike other clay masks I've tried which when dry or almost dry can actually make your skin feel uncomfortably tight, this mask doesn't tighten your skin at all. It's probably because the mask is so creamy in texture to begin with. In addition, when it's drying, it does not significantly change colors as you can see from my swatches above. Lastly, since there are exfoliating volcanic rock particles in this mask, I actually take a little water and spread it around my skin right before I rinse it away completely. In conclusion, it's the best clay mask I've tried in terms of it being gentle on the skin. You want a gentle clay mask that also exfoliates. You want a clay mask that is very creamy in texture. 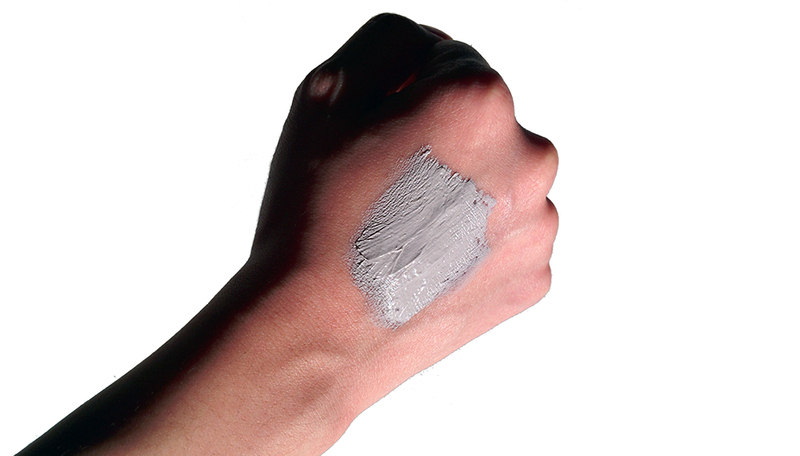 You want a scentless clay mask. You do not like exfoliating clay masks. 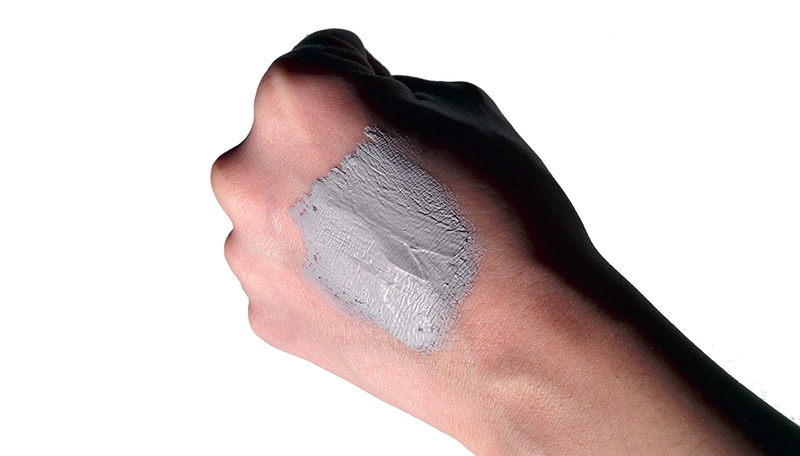 Your skin gets easily irritated by exfoliating particles in cosmetic products. 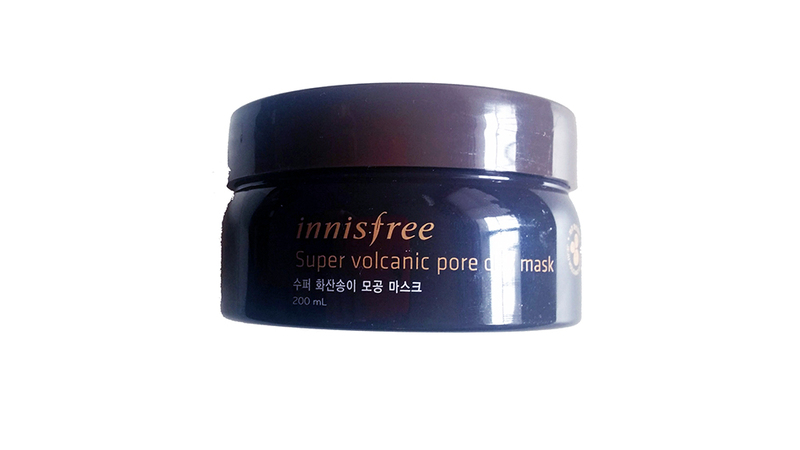 This Innisfree Volcanic Clay Pore Mask is available at Innisfree's ecommerce site, Amazon, and ebay. 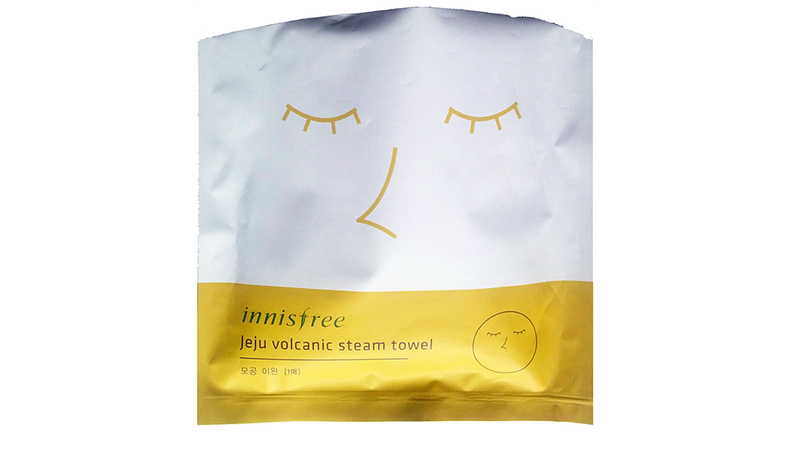 The steam towel is also available on Amazon & Korea Depart.